The Linon Extreme Heavy Flokati is a luxurious thick Flokati rug hand made in Greece. This Flokati is 1400 grams/m² and is a deep plush pile rug. This Flokati rug is made in Greece using the same techniques and materials our ancestors have used for thousands of years and we take pride in each and every one. This Flokati is sure to bring warmth and beauty into your home. Have ordered them before. They are great in the kitchen and are washable to boot. "Can this flokati be washed? I asked this question before, you did not answer and then deleted the question...really?" Hello sbandboys, no, the Linon Flokati Heavy Denim Blue Rug (5' x 8') can not be washed. It is made from 100% wool and will need to be professionally cleaned. Thanks for shopping with us! 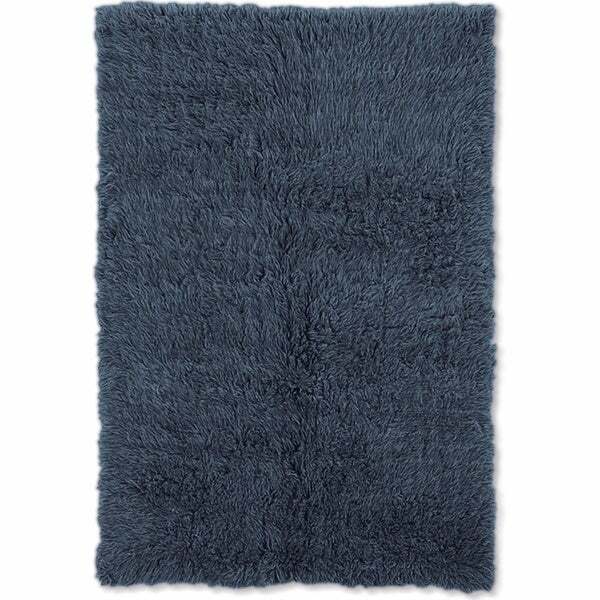 A.S.
Safavieh California Cozy Plush Navy Shag Rug - 5'3" x 7'6"